While many of us basically use Google Chrome for internet browsing, there are still many out there who prefer to use Mozilla’s Firefox for their browsing needs. If you are one of these people, there is some really exciting news from the tech giant. Given the massive changes in websites as well as how users interact now that things like instant messaging, video streaming, auto-update of content and lots of other stuff, Mozilla thinks it’s about time the Firefox web browser saw some important changes that will make the application better serve your growing needs. Last week, the tech giant announced a new project known as Quantum. Apparently, this project is aimed at dramatically accelerating the browsing speeds of Firefox, but this process is going to be slow, running until the end of next year. Mozilla wants to be different from the likes of Google Chrome, Safari and even the new boy in town, Microsoft Edge by offering noticeable performance gains that will make the entire web experience feel different. With project Quantum, users of Mozilla Firefox will enjoy web pages that load faster while scrolling will be made even smoother than before. As far as animations and interactive applications are concerned, project Quantum will ensure that their response is instant. Ever since mobile phones took to the podium, Mozilla Firefox has found it practically impossible to compete with Google Chrome. However, with such improvements in browser speeds, Firefox should be in a position to compete at the same or even better levels with Chrome, be it on mobile or PC. Today, Mozilla Firefox uses a browser engine known as Gecko. In case you didn’t know, a browser engine is a software that does all the dirty work behind the scenes only to present you with a complete, colorful website on your PC or mobile screen. Quantum will build on this engine while at the same time utilizing some of the nifty abilities of the newer browser engine that Mozilla is working on – Servo. The company has confirmed these changes will be slow and gradual starting this coming year. Those using Windows, Linux, MacOS, and Android will be part of the change, but since Apple’s iOS only depends on WebKit, iPhone, and iPad users may have to wait and see if this change will at some point come their way. 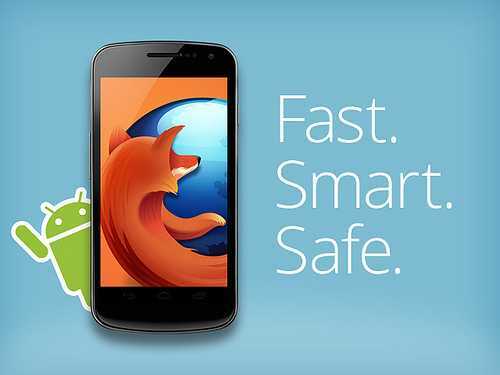 Once the new Mozilla Firefox browser is installed on your device, the company says that there will be drastic improvements in performance as well as reduced power consumption, something that should be a welcome idea for the growing smartphone community.